Scaffolding is starting to come down as each section of the Soboba Casino Resort hotel’s exterior gets a final coat of paint and the interior work is well under way. "We are putting up drywall, painting and putting down flooring in some areas," said Tom Groenendal, Senior Superintendent for C.W. Driver, general contractors for the project. 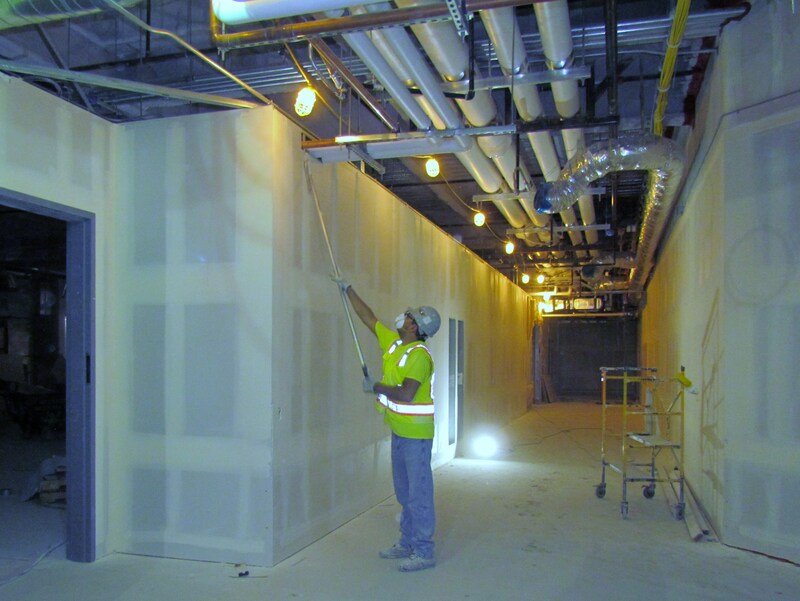 "Most of the overhead MEP (mechanical, electrical and plumbing) has been done which allows us to start on the acoustical ceiling installation." 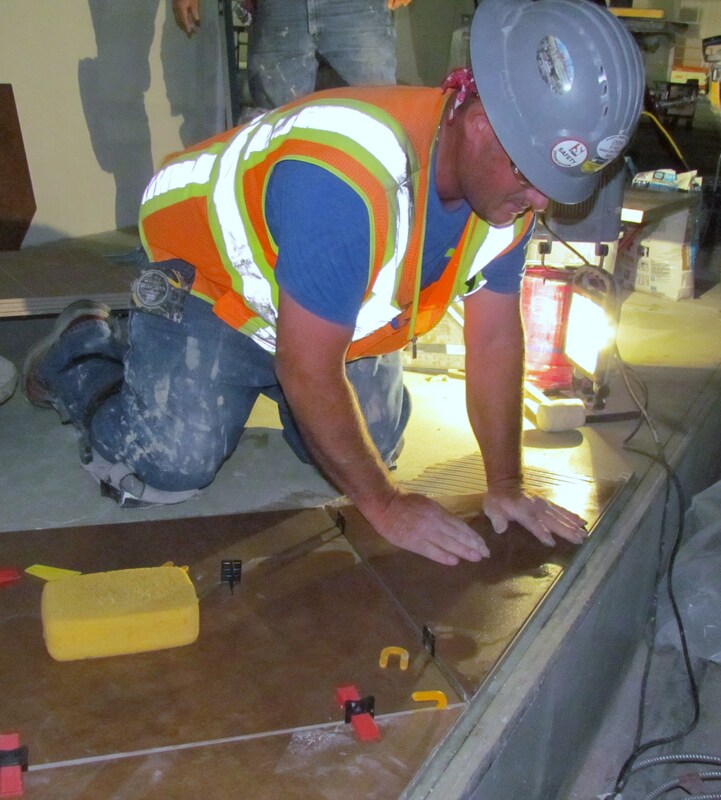 In many back-of-the-house areas – which will contain support systems for all aspects of the resort – the T-bar is in place and ready for acoustical ceiling tiles to be added. Millwork (cases and cabinets) are starting to arrive and soon more equipment will be delivered. Coolers for food and beverage storage are in place and food service equipment is coming in. The kitchen areas have epoxy flooring installed and stainless steel has been added to the walls. Groenendal explained that the work is being done in phases and in areas. Multiple floors and areas are being worked on at the same time. With an average of 450 to 500 workers on the job, each is taking on a particular specialty. "Everybody is doing their part and working together," he said. "We have a good team of subcontractors." About 500 gallons of paint is being used daily as the interior walls receive a prime and first coat. Toward the end of the project touch ups will be done and a final coat will be added so everything is nice and fresh for the first guests. 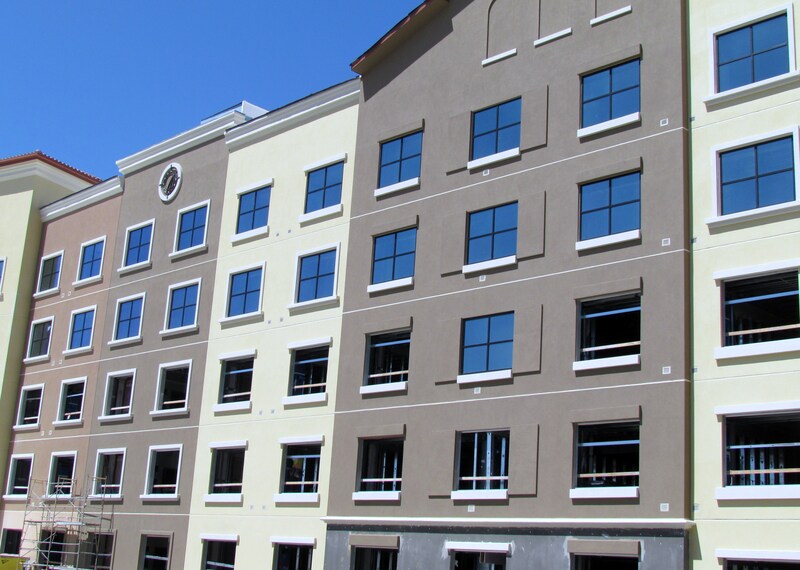 Exterior windows have been installed on levels five and six of the hotel. Once they have been tested, the room’s interiors can be completed. Inspections are ongoing for each phase of the operation. Soboba has retained the internationally renowned Friedmutter Group to serve as the architects and engineers for the project’s design. Friedmutter specializes exclusively in hospitality, gaming and entertainment projects of all sizes around the world. Model rooms (mock-ups) of the different hotel rooms being created are housed in one of the several construction modulars parked on the site. "The models were created to work out any issues that need to be corrected or adjusted prior to the interiors being completed for the 200 rooms," said Arif Siddique, president and managing member of SICON LLC. "These adjustments include location of electrical outlets, comfort of furniture, fixtures and equipment as well as supplies consistent in achieving the 3+/4 Diamond Hotel rating." 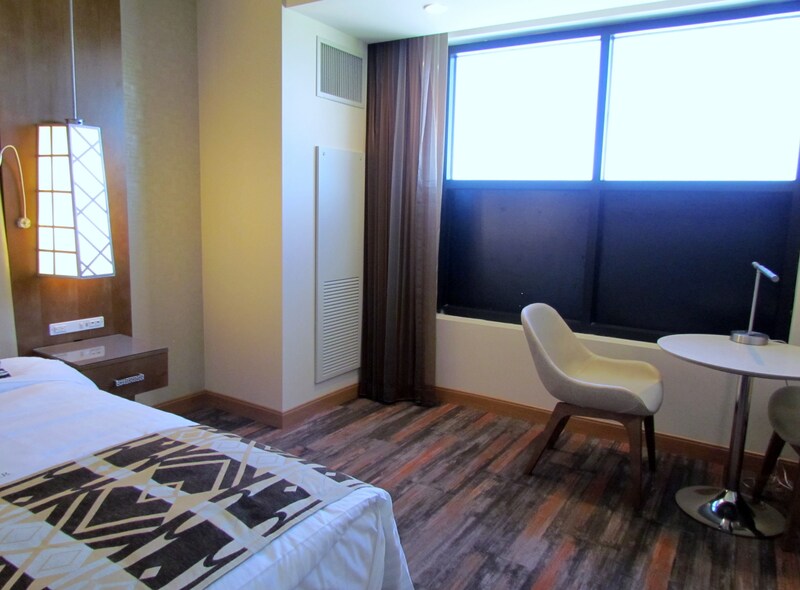 Although still in transition, the rooms provide a terrific way to see the final version before installations are done to the actual hotel rooms and suites. 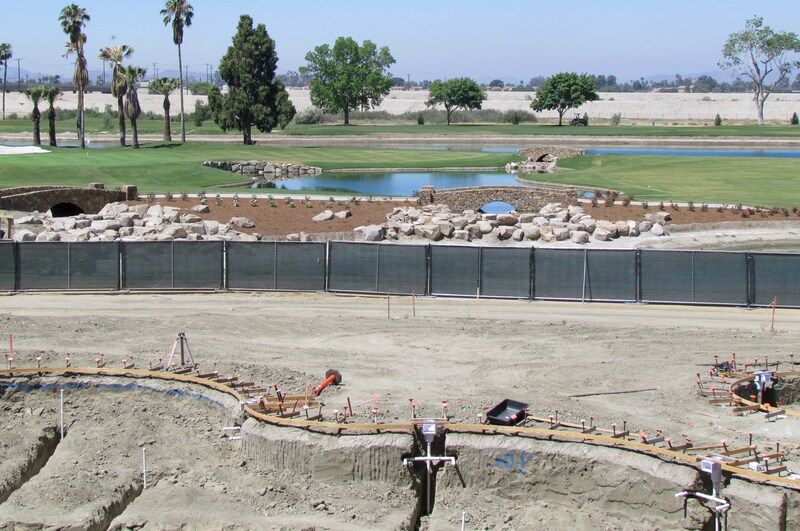 Final designs must be approved by Soboba Tribal Council and tribal membership. All amenities will be reviewed for design, aesthetics and functionality. Siqqique said planned amenities in each room are high-speed Internet, spacious bathrooms and showers, in-room safe, refrigerator, Krupp coffee machine, 55-inch TV and refined/comfortable beds and interior furnishings.